Destiny failed as an RPG: how can the sequel do better? There are several ways this could be taken wrongly, but I’ll say it anyway: I like to role-play. By which I mean, when I play a game, I like to play a role, and one of my biggest frustrations with Destiny is that all the lore is there to support an excellent, original RPG, but none of the systems. 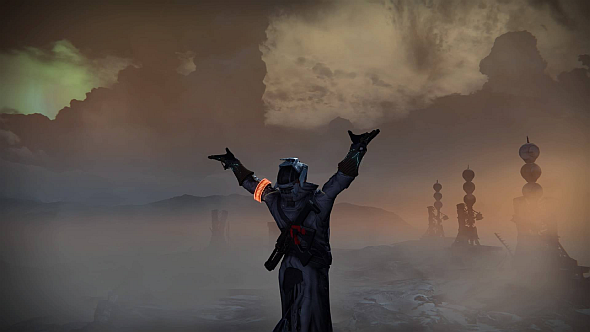 Bungie have promised to better serve Destiny’s lore with a richer narrative. Get up to speed with our Destiny 2 story guide. Perhaps that’s not entirely fair. There are several factions which, through the flavour text on their gear and their associated grimoire cards, hint tantalisingly that they’re really, really interesting. But that’s as far as it goes: hints. It’s like I’m being teased – a phrase which, again, I’m only happy to say because we’ve now firmly established a videogames context. The point is that, while the lore is all there, there are no complementary mechanics to scratch my role-playing itch. Take my Warlock. In my head, he’s your classic megalomaniac wizard – arrogant and lustful for knowledge, the more taboo the better. He thinks he’s cleverer than authorities like Commander Zavala and the Speaker, that The Darkness must be understood to be conquered, and that he’s special enough not to be corrupted in pursuit of that understanding. Ideologically, he lines up perfectly with the exile Osiris, and especially the secret-hoarding Future War Cult (FWC). Now, how can I live that out in-game? I can join the FWC, and have done. I can equip a full set of their gear, including ships, shaders, and emblems. I can rank up to 25 and get their fanciest Exotic gear piece. And that’s about it. It’s all cosmetic. I could ditch the FWC today and join those lame space goths, Dead Orbit, and nothing significant would happen. Even the FWC’s emissary, Lakshmi, would greet me exactly the same way she does now. Her dialogue doesn’t change, whether you’re rank 30 or belong to a rival group. I have to use my imagination to find an identity for my character in this world. 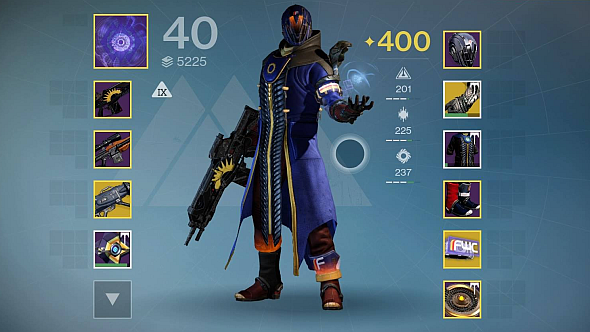 I have to tell myself – and you, via this article, because I’m far too embarrassed to admit to anyone in person that I do this – that equipping a mix of FWC and Osiris armour (see image above) is how my Warlock expresses his values and allegiances. There are no selectable or discoverable ‘traits’ to indicate my character’s personality, as I imagine it. Nor can I express it in dialogue with NPCs, since there isn’t any. Faction ranks are a ticket to new loot, but not to new choices, conflicts, or even unique quests (with one exceptionthat’s fairly meaningless). You could argue that to wish for these features is to miss the point of Destiny: Bungie have always resisted comparisons with MMORPGs, preferring instead the label ‘social shooter’ or ‘social action game’. As I keep reminding myself, Bungie don’t want to limit access to content and everything is meant to be replayable, which prevents them from reflecting your choices by branching the story, as many RPGs do. And yet, I don’t accept that Destiny’s structure or genre should limit the player’s ability to make these decisions. The Fallout and Metro series differ in many ways – the former an open-world shooter-RPG, the latter a traditional linear shooter – but both still succeed in depicting competing factions, and in offering the player some choice about which to endorse. Bungie only have to be brave enough to attach consequences to that choice, perhaps by locking some content behind Destiny 2’s factions, to achieve the same effect. And so much of Destiny’s lore is about taking sides: Osiris versus the Speaker, Saladin and the Iron Banner versus Shaxx and the Crucible, Lysander versus the Consensus (which is itself comprised of bickering factions who barely manage to govern). The Awoken in the Reef, doing their own thing. There are at least half a dozen different positions on the nature of The Darkness. Players are dropped into a world like this and effectively forced to sit on the fence, which is an uncomfortable place if you enjoy a good argument. There’s always been an element of identity crisis to Destiny: Bungie can resist comparisons to MMOs and RPGs, but the influences of those genres are undeniable. So let’s look beyond genre and consider how Bungie can make a better game. Given the world they’ve built, I think they’d serve Destiny 2 brilliantly by deepening the faction system and letting the player feel some consequence for their choices. Will it happen? 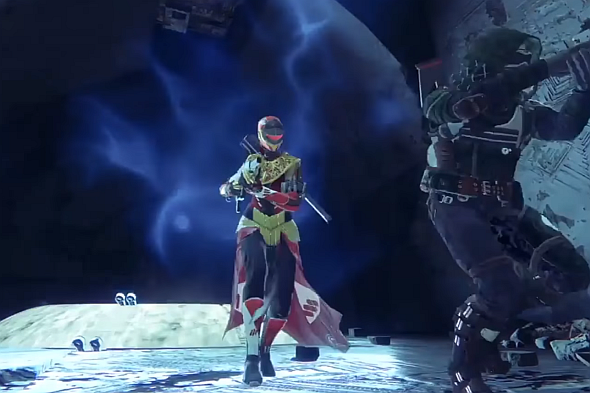 They each look pretty distinct from the legendary armour setswe’ve seen in footage so far. And that’s encouraging, because all faction armour in the original game was a reskin of other legendary gear. That it seems to differ in form as well as colouring this time round could – could – indicate that factions are getting unique armour sets. That’d be a step up from where we were, and perhaps signify a faction system with a little more meat to it. I’m grasping at straws, I know. If factions don’t change, at least weknow from its artworkthat the first of Destiny 2’s expansions will focus on Osiris. Surely his quarrel with the Speaker must be explored then, and that’s an exciting thought. Destiny changed a lot in its first three years, and then there’s the messy story of its development. It’s clear Bungie didn’t have everything locked down, which is why I understand why the factions were so shallow. 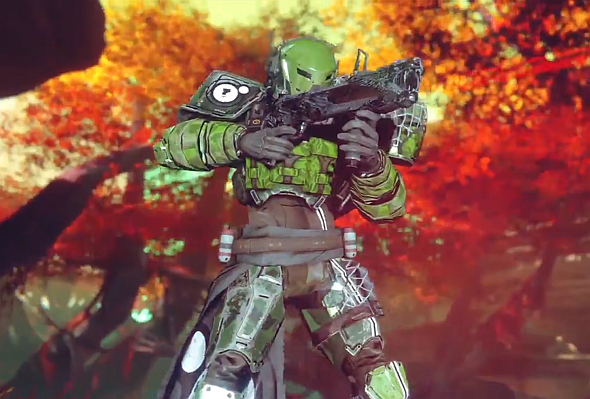 But Destiny has felt a lot more confident in the last year, as has Bungie’s treatment of the sequel so far. And, really, given the low bar from which we’re starting, it wouldn’t take a lot to make the factions feel more impactful this time. Considering how much they’d add to Bungie’s fractious universe, I think it’s fair to expect that.